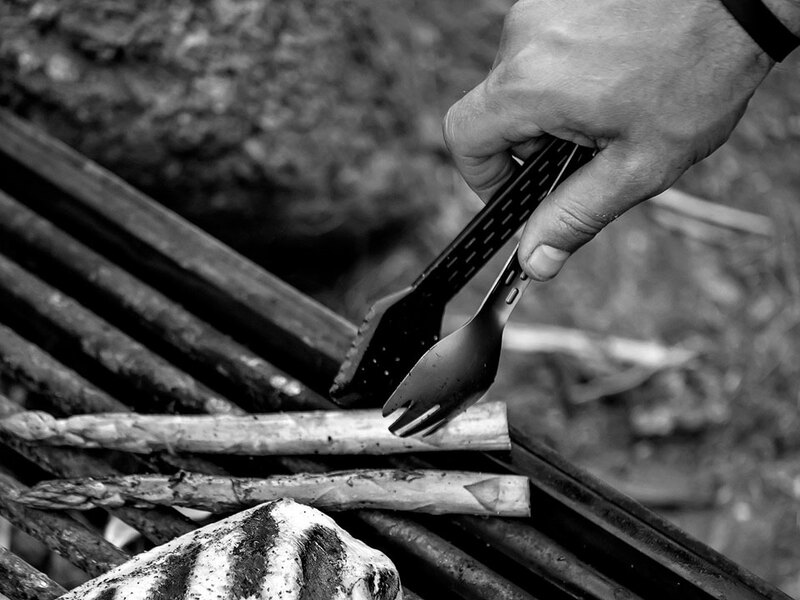 Camping is fun, but man, the things you have to bring is not. 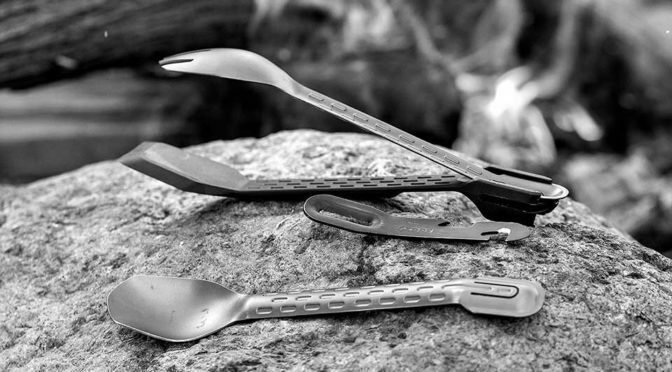 Thankfully though, there are many all-in-one gear that can alleviate this too-many-things-bring situation and here’s a new one from Gerber: Gerber ComplEAT All-In-One Utensil. 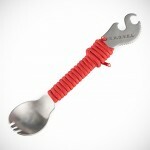 With the Gerber ComplEAT, it will have all the bases covered with a fork, a spoon, a spatula (yes, even this! 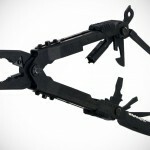 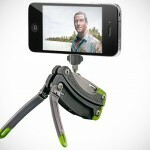 ), and a multi-tool that offers four functions: veggie peeler, bottle opener, can opener, and a serrated package opener. 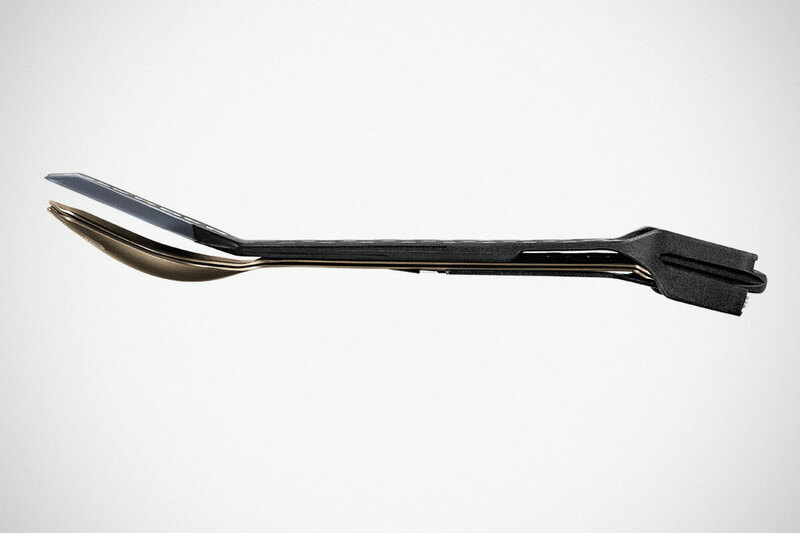 The spatula itself also sports a serrated edge – in addition to pan-friendly silicone edge. 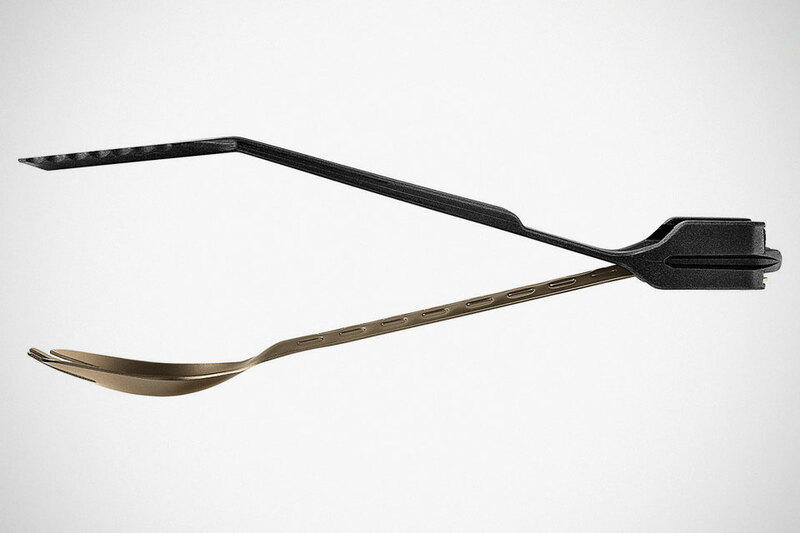 The spatula, when combine with the long-tine fork and the multi-tool, turns into a pair of handy tongs. 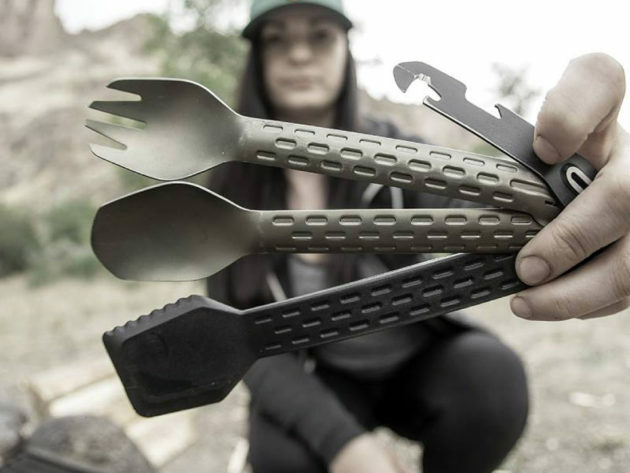 And when you are done and ready to get on with your journey, the fork, spoon, spatula, and the 4-function multi-tool nests together for easy packing and transportation. 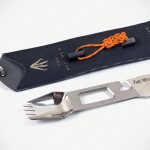 Just in case you are wondering… the overall length and width of ComplEAT is 7.75 inches (19.69 cm) and 1.5 inch (3.81 cm), and the entire set weighs just 2.3 oz (65g). 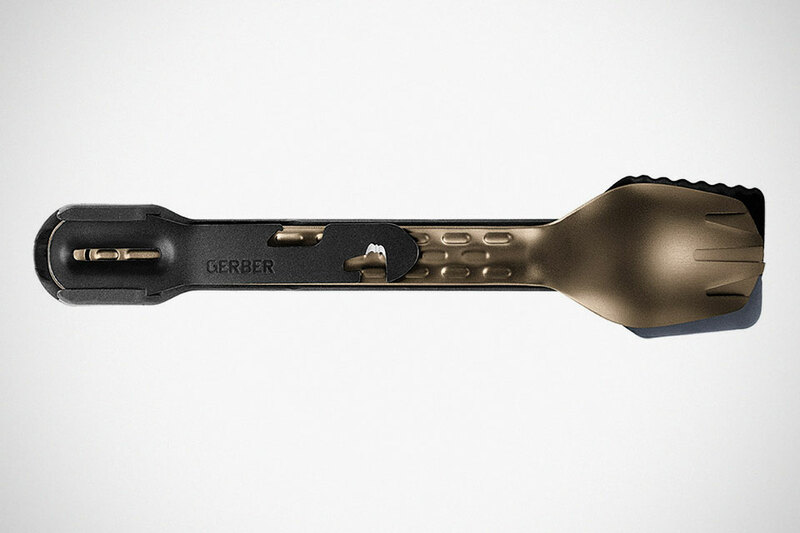 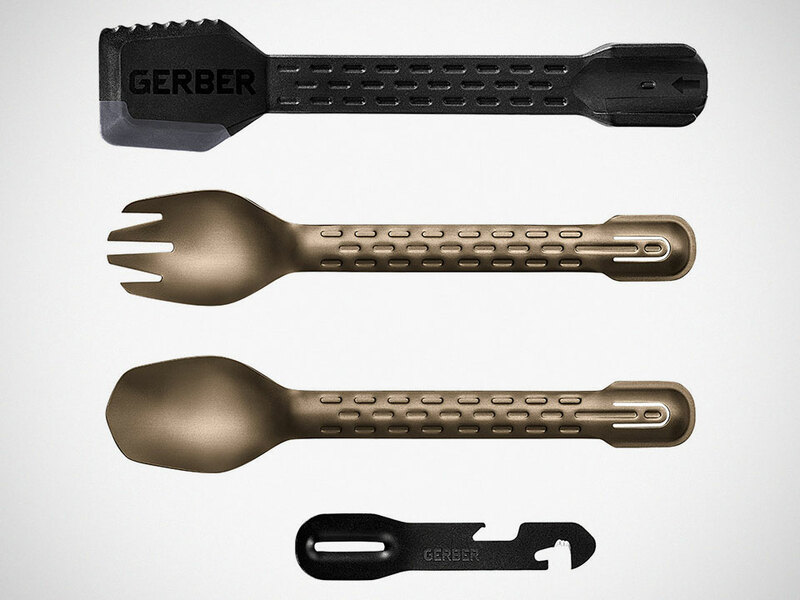 Gerber ComplEAT All-In-One Utensil comes in four color options, namely, Onyx, Burnt Bronze, Flat Sage, and Silver, and it is available from Gerber website for 28 bucks.